History lesson on one side, grammar lesson on the other side! 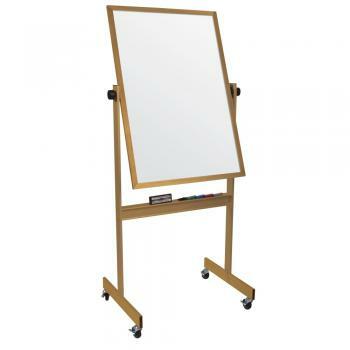 Does your arm become tired erasing dry markerboards throughout the school day? 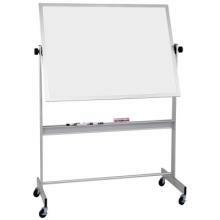 Do you wish you had more room to present more scholastic information? 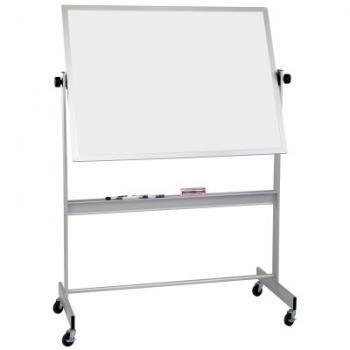 The Free Standing White Board doubles the amount of space you have to teach your students by incorporating a rotating panel that allows you to turn the board over to the other side. 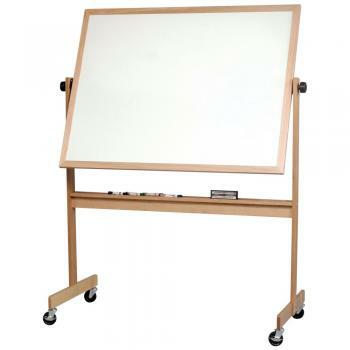 Many teachers prepare one subject lesson on one side of the board and another subject lesson on the other side. 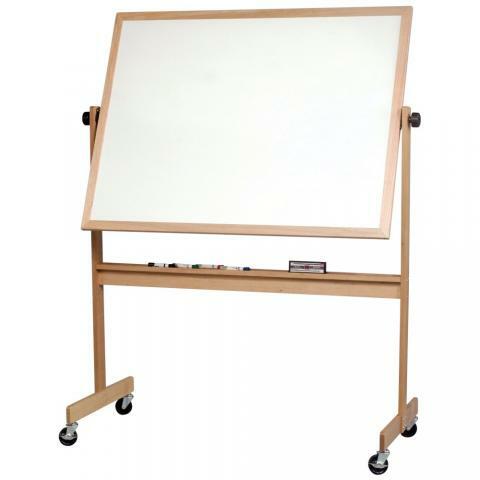 As with all of our markerboards, the Free Standing White Board is constructed with rugged porcelain steel that resists scratches and dents. 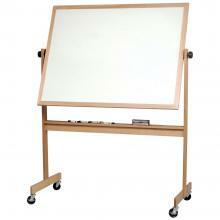 The materials used to make this board are so strong that the combo board comes with a 20-year guarantee. With a set of four well-lubricated wheels, you can move the combo board anywhere in the classroom to reach the most students.